Video Ideas? Let us Know! 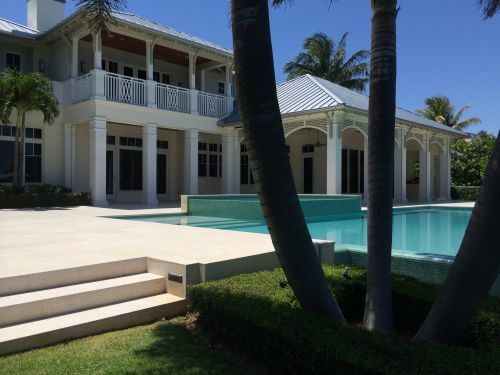 This impressive Lighthouse Point residence in Florida, USA had a big problem. Its large pool coping, paved in coral stone was at risk of salt spalling and efflorescence. The outdoor area would also be used for dining and entertainment so oil spills would have been a constant threat to the surface. This is why DRY-TREAT 40SK™ and STAIN-PROOF Original™ were chosen for the project. To read the full case study click here. Have you got a question we haven't answered yet? Send an email to marketing@drytreat.com with the subject line 'video' and we'll try include it in a video! 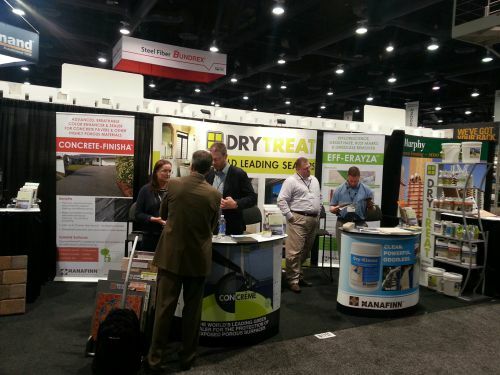 Dry-Treat attended the World of Concrete Tradeshow in Las Vegas earlier this month. Over a big three days, the stand was swamped with attendees watching demonstrations and learning about our exciting and innovative products. 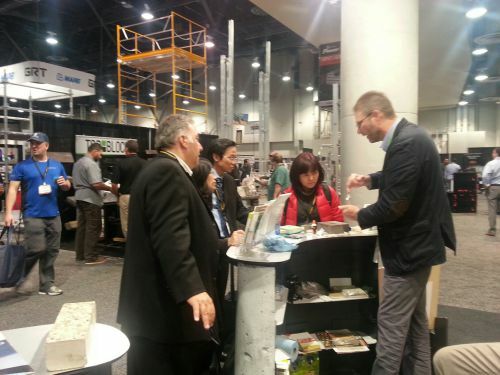 Thanks to all those who stopped by! The image above is a sinkhole, a natural phenomenon that is occurring more often around the globe. Ranging from a few feet wide to nearly 200 feet, sinkholes are both fascinating and potentially lethal. But How Are They Caused? A sinkhole is often formed when acidic water erodes the soft, underlying rock. Materials such as limestone, gypsum and dolomite are the usual victims. When enough of the rock has been eroded, the ground above collapses, forming the hole. This usually occurs with little to no warning swallowing, cars, houses and people. 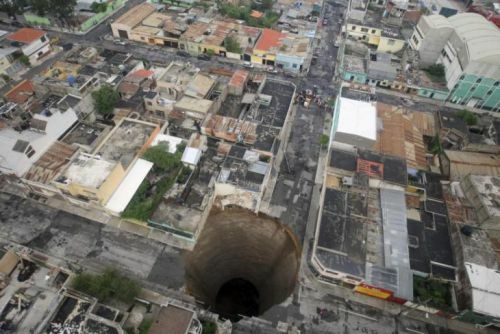 Although the end result may not be as dramatic, sinkholes demonstrate that over time acid rain will damage a surface. Impregnating sealers can't protect against acid etching, so stones such as limestone, travertine and marble located outdoors are vulnerable.